Florida Mortgage Corporation offers a number of Hard Money loans for Florida property. Florida Mortgage Corporation will consider most situations and give you a prompt answer. We specialize in a wide range of credit score and non-credit score driven residential and commercial loan products. Florida Mortgage Corporation offers immediate approvals and fast closings. Our professional staff of experienced loan consultants in Hard Money loans will be happy to discuss any problem and will make every effort to make it work. 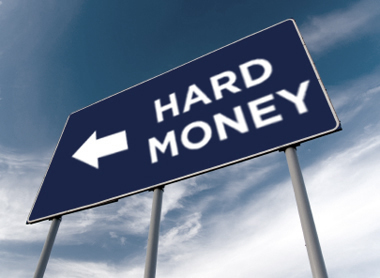 The Buyer must have a "CASH" down payment to be Eligible for a Hard Money loan regardless of appraised value. Typically, a 40-50% CASH down payment based on the Sales Price. The "EQUITY" in a home belongs to the existing homeowner and NOT to the Buyer. The current value of the home belongs to the existing homeowner and NOT the Buyer. Until recently, many Hard Money lenders were willing to base their LTVs on property appraised value, rather than purchase price. As the market continues to contract, this practice has become almost non-existent. The logic behind this change is simple. Properties being sold far below appraised value are typically distressed sales. If a hard money lender ends up foreclosing on a property, they need to get it off their books as soon as possible. This means they will be in the same position as the bank who is selling the distressed property. To a hard money lender, a property is only worth what they know they can liquidate it for. If the bank is liquidating a property for $50,000, a hard money lender has to assume this is the same threshold where they would be able to liquidate the same property. The PURCHASE price is the guideline. This means the Loan-To-Value (LTV) is based on the purchase price and NOT the appraised value. The rule of thumb has always been, purchase price or appraised value, WHICHEVER IS LOWER. Seller Financing: If you have a cooperative "Seller", we will allow the "Seller" to hold a 2nd mortgage (Seller held 2nd), in combination with our 1st position mortgage, up to a combined maximum of 90% CLTV. In all cases, you must have at least 10% of your OWN funds in the transaction.